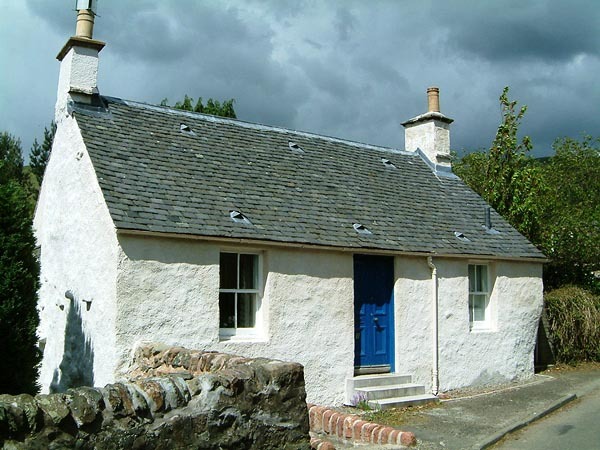 Castle Road, Dollar is a traditional cottage of stone and lime construction, probably dating to the 18th century. LTM were contracted by the private homeowner to investigate problems associated with moisture retention in the masonry walls and identify pragmatic solutions. Works included: removal of concrete paving at wall base and incorporating a drainage system; removal of adjoining boundary walls to prevent moisture penetration; patch render repair, scraping damaged mortar back to a sound substrate and applying a thin harling coat and limewash finish.